Just one week after beating the Eagles at home, the Titans lost on the road to Buffalo. Here are the keys to that game. Same old Titans. A week after a riveting and uplifting comeback win over the defending Super Bowl champions on the final play of overtime, the Titans felt the emotions on the opposite end of the spectrum Sunday with a frustrating last second loss in Buffalo against the Bills. 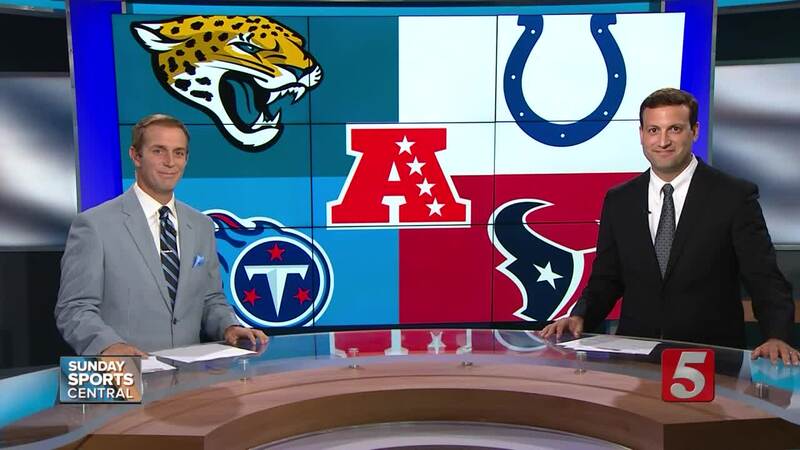 The Titans remain in first place in the AFC South and deserve the heaps of praise they received for their 3-1 start despite all the injuries and adversity they’ve faced under first year head coach Mike Vrabel. But if the hope was that Vrabel’s influence would help steer this team away from the up and down performances that had plagued it in the past, Sunday showed us the Titans still have the same makeup of players that lost games a year ago to struggling teams like the Dolphins, Cardinals and 49ers. In short, they laid an egg Sunday in Buffalo. An enigmatic performance that ended on Steven Hauschka’s 46-yard field goal as time expired, but will most certainly be remembered come the end of the season if the Titans fail to win the division or make the playoffs. 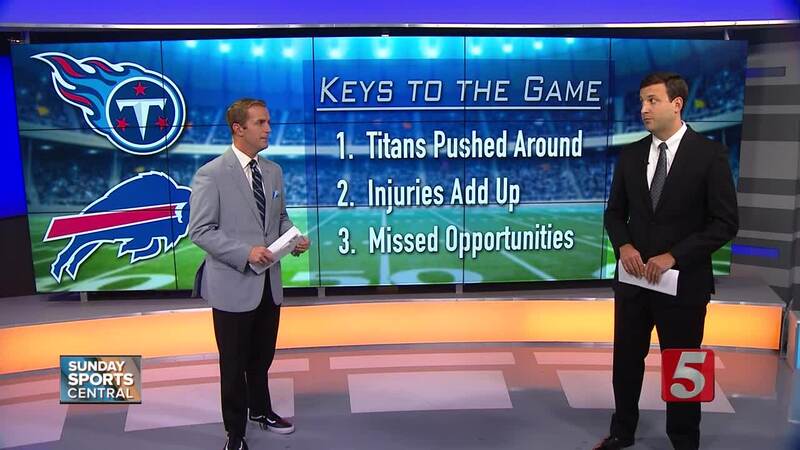 The Titans said the right things all week before they left for Buffalo. They just didn’t play good football once they got there. Vrabel warned of the importance of staying focused off the big win against Philly and playing well against the Bills because, “if you don’t, you’ll lose.” As it turns out, it’s much easier to talk about avoiding a letdown than it is to actually avoid it. The Titans knew the blueprint required for the Bills to beat them Sunday. The Vikings delivered it in their week three loss to Buffalo, marred by turnovers and the inability to stop the Bills’ rushing attack. Tennessee followed suit Sunday. Taywan Taylor fumbled a pass completion on the opening possession of the game. The first lost fumble of the season for the Titans set the Bills up with a short field and led to the only touchdown of the afternoon. Buffalo managed just 223 yards of total offense, but scored 10 points off three turnovers, each one happening on the Tennessee side of the 50. The Titans offense, on the other hand, struggled to just 221 total yards and failed to score a touchdown for the second time in five games. Yes, it was just an off day. The type of performance that plagues just about every NFL team once or twice a year. But the Titans letdowns have been all too regular and at the most inopportune times. In 2016 the 9-7 Titans were swept by a Colts team with a losing record and then had a three-game winning streak snapped with a 38-17 week 16 loss in Jacksonville that cost them a division title and a trip to the playoffs. Last season Tennessee ended its playoff drought, but blew a chance at another AFC South title (and a home playoff game) with a three game losing streak in December that included those losses to lowly Arizona and San Francisco. The Bills are not a good team and did nothing Sunday to suggest they would regularly beat the Titans. But they did because Tennessee opened the door for them to do so. It’s not the way the Titans wanted to gain national attention after talking about how much this team is overlooked following last week’s win. Beat the Bills and maybe all those naysayers would believe. But what we saw Sunday from the Titans was all too familiar. Yes, this is a team that can, and has demonstrated, it can beat anybody in the league. But it can still lose to anyone as well.